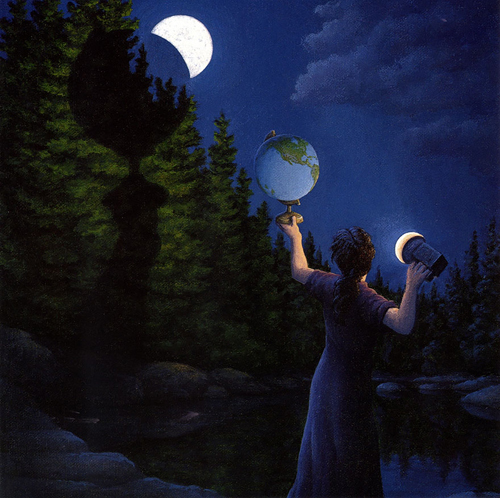 Robert Gonsalves, Họa-sĩ người Canada, Toronto. với trí tưởng tượng phong phú tuyệt đỉnh, ông đã có thể dùng ngòi bút và cọ vẽ một cách tài tình để xóa mờ ranh giới giữa các sự vật, khiến mỗi bức tranh của ông có thể chứa các nội dung hoàn toàn khác nhau, ngay cùng trong một bức tranh. 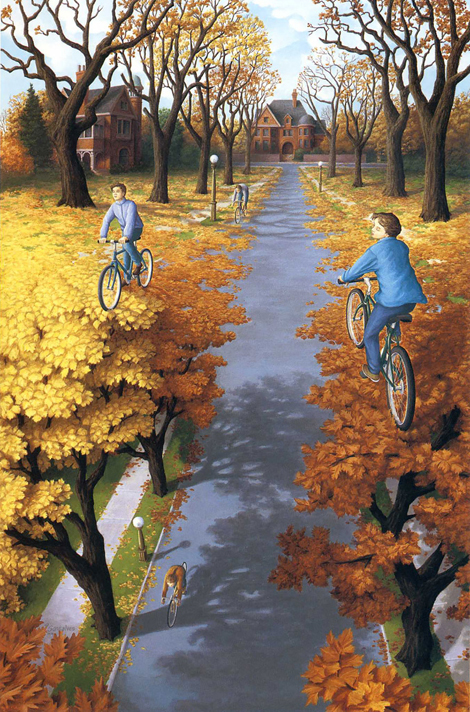 Rob Gonsalves (born in 1959 in Toronto, Canada) is a Canadian painter of magic realism with a unique perspective and style. He produces original works, limited edition prints and illustrations for his own books. 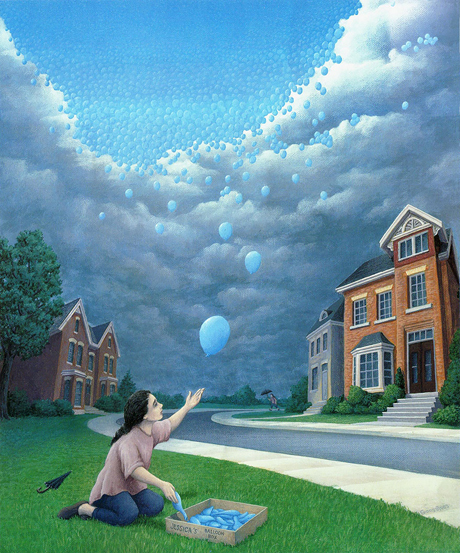 During his childhood, Gonsalves developed an interest in drawing from imagination using various media. 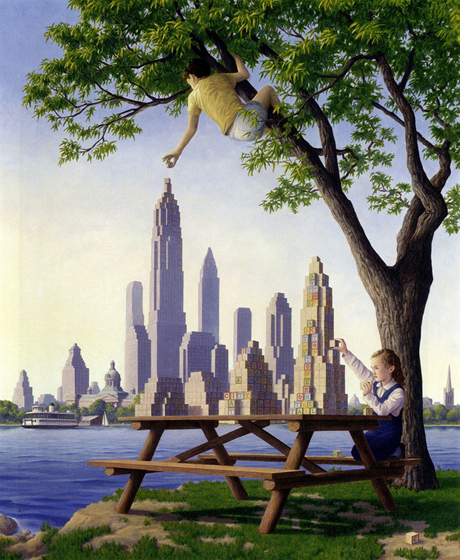 By the age of twelve, his awareness of architecture grew as he learned perspective techniques and he began to create his first paintings and renderings of imagined buildings. 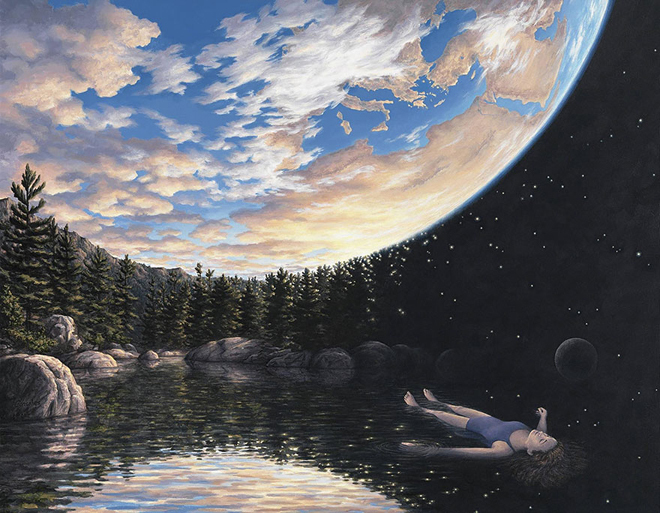 After an introduction to artists Dalí and Tanguy, Gonsalves began his first surrealist paintings. The "Magic Realism" approach of Magritte along with the precise perspective illusions of Escher came to be influences in his future work. 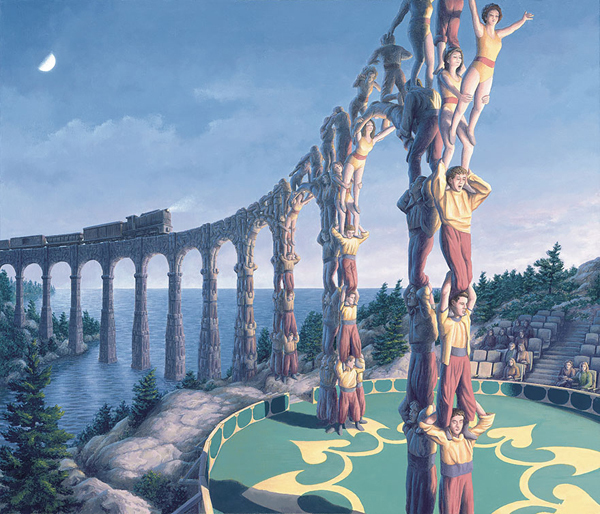 In his post college years, Gonsalves worked full-time as an architect, also painting trompe-l'œil murals and theater sets. 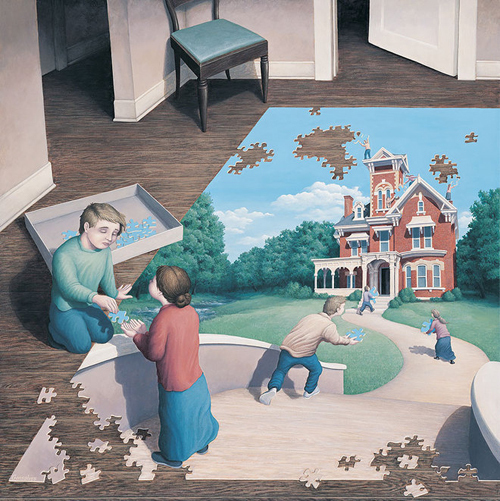 After an enthusiastic response in 1990 at the Toronto Outdoor Art Exhibition, Gonsalves devoted himself to painting full-time. bên phải lại trở thành sân khấu xiếc với những hàng ghế khán giả. 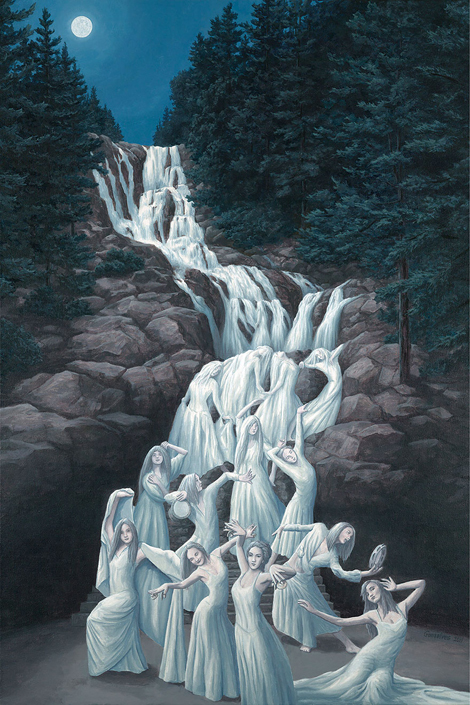 "Aspiring Acrobats", painted in 2009. ... As the premier art gallery in the Washington DC metropolitan area, Huckleberry Fine Art specializes in finding emerging artists locally and internationally. Since it's existence, the gallery has been exhibiting a vast collection of vibrant oil and acrylic paintings, limited edition signed and numbered prints, sculpture, photography, art books and custom framing. 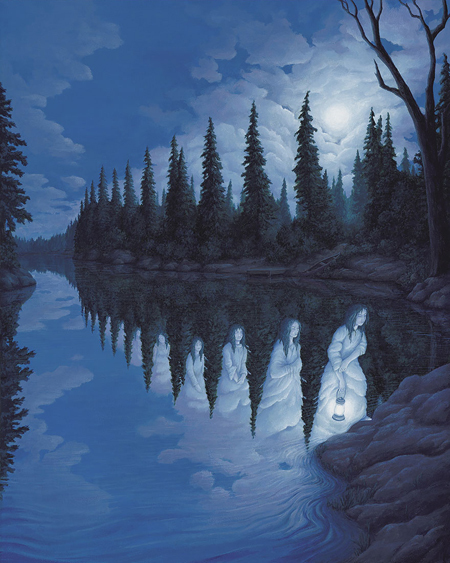 Huckleberry Fine Art has established a successful publishing division with the introduction of Artist Rob Gonsalves`s limited edition prints.